CanadaVet.com Blog: Why Do Dogs Eat Grass? 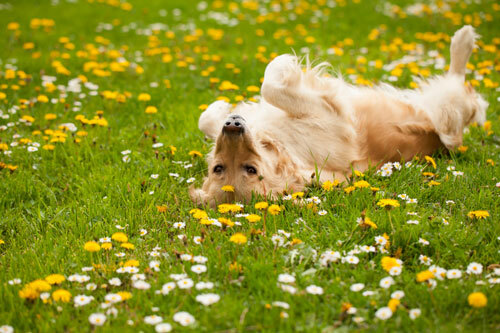 Many dogs love to channel their inner cow and munch away on grass. For some, it may even be a part of their daily routine. They may even be particular about what type of grass they eat. Are they hungry? Sick? Is it bad for them? Are they bored? Firstly, don’t fret, you’re not the only one confused or concerned, especially if your pooch is vomiting after munching away at your lawn. Fortunately, experts believe it isn’t something you should be worried about. It is a common misconception that dogs’, like cats are carnivores, when in fact they are omnivores. For thousands of years, dogs have been known as opportunistic scavengers that will consume anything that fulfils their basic dietary requirements. Due to domestication and evolution, the modern-day dog is no longer like their ancestors who would frequently eat the whole of their prey, including the stomach contents of plant-eating animals. Today, dogs seek out plants as an alternative food source with grass being the most common as it is closest at hand. 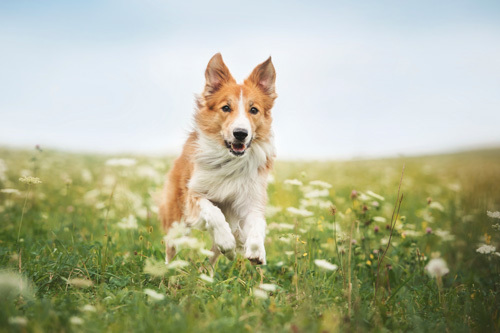 Grass has essential nutrients that your dog may be craving, especially if they are being fed a commercial diet. If your dog has increased the amount of grass it eats, they may be lacking in fibre. In this case, you might want to consider introducing cooked vegetables into your dog’s diet. If your dog just enjoys munching on grass here and there, you may want to buy a small grass tray just for them. This will give your dog a safe piece of grass to nibble on, free from possible pesticides. 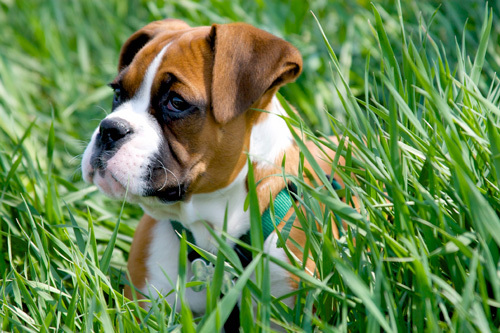 If your dog has a gassy or upset stomach it will seek out a natural remedy to cure it, and for them, grass seems to do the trick. When consumed, the grass blades can tickle the throat and stomach lining and in return, this sensation can cause a dog to vomit. This is more likely to happen if the grass is gulped down rather than chewed. If your dog occasionally nibbles on grass with no symptoms then they may just be enjoying it or they may have needed to add a little more fibre to their diet. 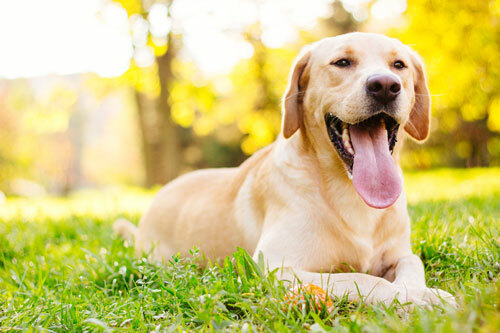 However, if your dog is ingesting large amounts of grass at a time and gulping it down, they may be unwell. If other symptoms occur including, licking its lips, salivating or swallowing a lot, frequent diarrhoea or your dog is vomiting more than once a week you should seek your vet for advice. Did you know the "alpha pack leader behaviour" is actually a myth? Read more here.